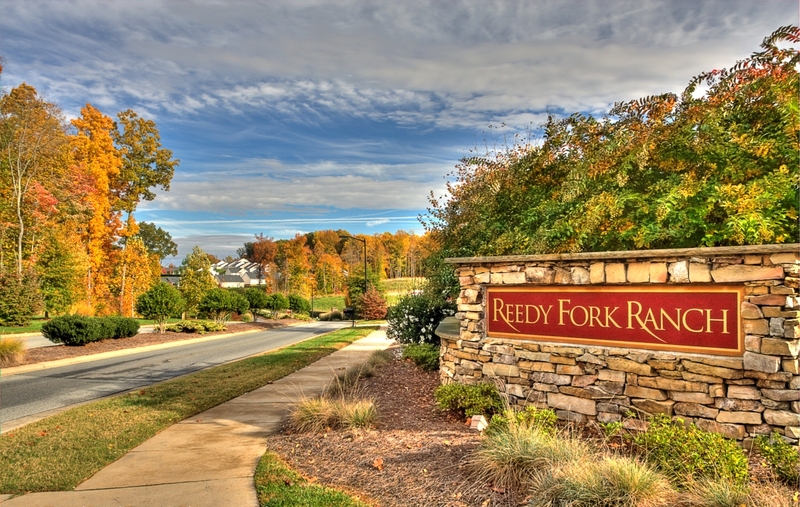 Beautiful homes, swimming, tennis, winding trails along the creek and more await you at Reedy Fork. Located just 15 minutes from downtown Greensboro, NC. We are also convenient to Reidsville, Burlington and Danville, VA.
Reedy Fork Ranch development began in 2001 and has since grown into a beautiful master planned community with over 850 homeowners. Breath-taking landscaping leads you into the walkable community with sidewalks in every neighborhood as well as paved trails through the greenway. We have both new homes built by True Homes and D.R. Horton as well as re-sale homes on the market and ready for you to move in. Our Kylind Realty office is located at the entrance to the neighborhood. You can check out our CURRENT LISTINGS or contact us to find out more about new construction opportunities as well. We would love to hear from you.